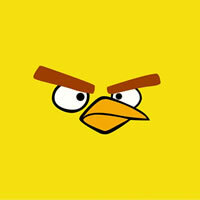 On our site you can download beautiful HD Angry Birds wallpapers for free and without registration. To download Angry Birds wallpapers you need to click on the image you like, then right-click and in the menu that appears, select “Save image as …”. You can also install the screensaver without downloading it to your computer. Just select “Save as Desktop Background” in the menu. You will be pleasantly surprised at high-resolution graphics that are ported directly from the game.